You will receive 7 different bags. 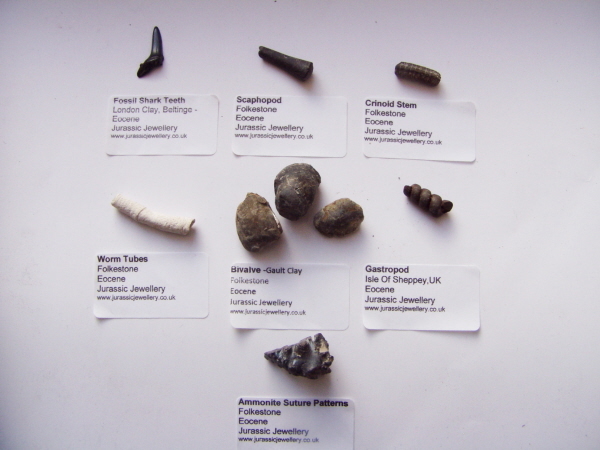 These fossils were collected by one of the most respected fossil collectors in the UK - and also a published author on UK fossils. They are the result of MANY, MANY months of collecting. Unlike Moroccan fossils for example, UK fossils like these just aren't easy to find. It is the result of many hours of searching, cleaning and sorting through mud and clay. When these collections are sold, it is unlikely I will have any more of this material to offer. All the fossils are bagged and labelled and would make a FANTASTIC addition to any fossil collection.